Peter Kinnebrew, MD, FAAP, has provided pediatric care in Hazel Green since 1998. Prior to joining Hazel Green Pediatrics, Dr. Kinnebrew practiced pediatrics for four years in Virginia and eight years in Wyoming. He completed his pediatric residency training at Duke University Medical Center. Jennifer Roy, MD, FAAP, is originally from Huntsville. She completed her pediatric residency training at Vanderbilt University Children's Hospital. She has provided pediatric care in Hazel Green since 2003. Andrea Thorpe, MD, FAAP, is originally from Fayetteville, TN. 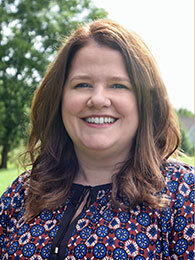 Before joining Hazel Green Pediatrics in March 2015, she practiced pediatrics in Fayetteville for five years. She completed her pediatric residency training at LeBonheur Children's Medical Center in Memphis. Trust our physicians to meet your child's general health care needs. We provide care to all children newborn to 19 years of age and manage seamless referrals to local specialists. Most insurance policies are accepted including Medicaid, Tricare and Blue Cross/Blue Shield.